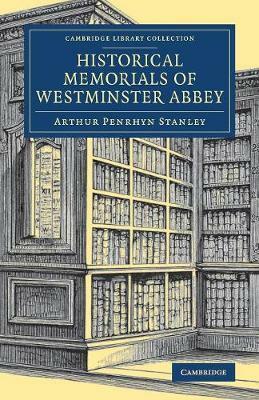 Arthur Penrhyn Stanley (1815-81), Dean of Westminster, modelled this 1868 work, of which the third, revised edition of 1869 is reissued here, on his 1854 Historical Memorials of Canterbury (also available in this series). It was conceived as part of the celebration of the eight-hundredth anniversary of the consecration of the abbey in 1065, and consists of essays on aspects of the abbey's central role in English history, particularly as the coronation place of monarchs of England, and the location of many royal tombs. Stanley draws on both the manuscript archives of the abbey and on the work of earlier historians to consider its foundation, the coronations, the royal tombs, the other monuments to distinguished men and women, and the history of the abbey before and after the Reformation. This highly readable account will be of interest to anyone wanting to know more about one of England's greatest buildings.